✔ Reduce the Risk of Sepsis. Our Hand Hygiene Audit System has been developed in liaison with Infection Prevention Specialists to support the implementation of the 5 moments for hand hygiene. 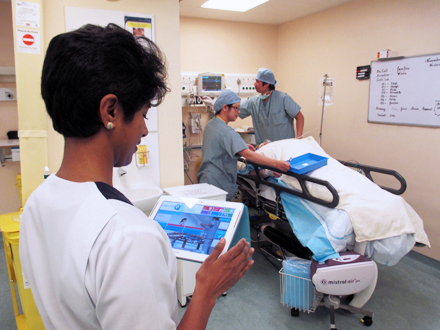 This mobile, paperless hand hygiene audit tool is compatible with the World Health Organisation’s (WHO) 5 moments audit tool and results can be benchmarked with any other healthcare facility in any other country using the WHO 5 moments paper based audit tool. Auditing compliance with the 5 moments is time-consuming and requires the physical presence of an auditor in the clinical area, observing healthcare workers of all grades as they interact with patients and with the patient’s environment. Numerous researchers have examined the impact of auditing on practice and there are many who say that observational audit will never provide data that reflects REAL practice due to the Hawthorne effect – That is, simply, that we are more likely to be on our best behaviour when someone is watching that when someone is not !! So why carry out observational audits of Hand Hygiene? 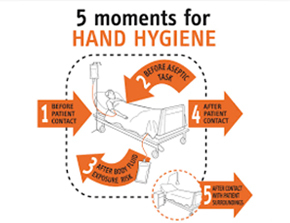 Many healthcare workers do not truly understand how to apply the 5 moments for hand hygiene in clinical practice and so we audit to identify areas of practice that require improvement. 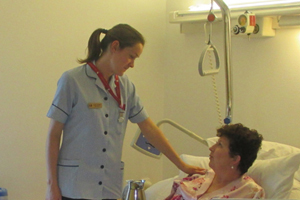 We can then provide training and support to healthcare workers so they understand why they missed a moment for hand hygiene and can then improve their practice.